Apollo 15 was the ninth manned mission in the United States’ Apollo program and the fourth to land on the Moon. It was the first J-Mission, which were designed for long surface stays. Apollo 15 brought a Rover and the Apollo Lunar Science Experiment Package (ALSEP) to the Surface aswell as placing the Particles and Fields Subsatellite (PFS-1) Satellite in Moon Orbit. The Crew were : David R. Scott, Alfred M. Worden, James B. Irwin. The Mission lasted 12 days. 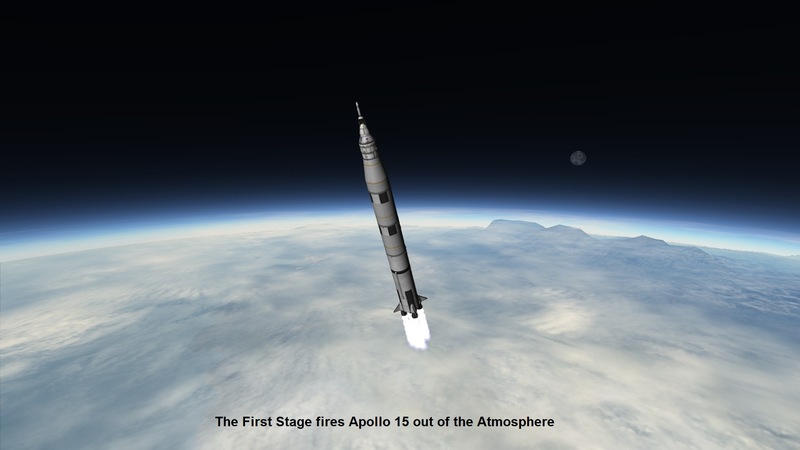 Although minor difficulties Apollo 15 was a very succesful start to the J-Series Missions. My Version is accurate, when it comes to staging and engine clusters. It also carries the LRV, ALSEP and PFS-1 with it. I tried my best to get the looks as close to the real one as possible. It uses no strutts, so teh parts count can stay low. It is still stable thanks to Autostrutt. After docking the CSM and LM and before undocking, i recommend not using [space] anymore, but rather work with rightclick to activate and deactivate engines. So no wrong engines fires. The Lander has massiv spare DeltaV in both stages. So you can easily correct your approach, to hit your chosen Landing Site more precise. Depending on how much fuel your CSM has left, burning at the right angle is the key. Have Fun with this Craft!